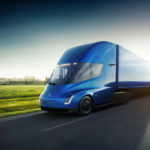 Electric Vehicles International (EVI-INC) announced today a goal of deploying 500 electric delivery trucks in California over the next two years, piggy-backing on Gov. Jerry Brown’s executive order last week calling for the expansion of electric truck and car usage. Electric Vehicles International (EVI), a Stockton CA based electric truck manufacturer, announced an initiative meant to piggyback on the Gov. Jerry Brown’s recent executive order that included goals for the deployment of electric trucks and cars across California. EVI’s plan is to “deploy” 500 electric trucks with fleet customers over the next two years. The initiative, if successful, is expected to displace 2 million miles of toxic diesel emissions per year, and create truck manufacturing jobs in the Central Valley. “Governor Brown’s EV Executive Order is the type of leadership that drove our electric vehicle manufacturing operation to California from Mexico. 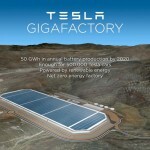 We are proud to do our part to create jobs and clean the air in California,” said Ricky Hanna, President and CEO of EVI. 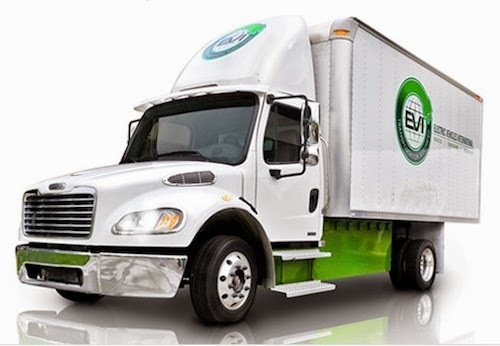 EVI manufactures four types of electric trucks and has established a customer base of large fleet owners including UPS, Frito-Lay and Pacific Gas & Electric. The company’s product lineup includes an electric medium duty truck (class 4-6), an electric step van (class 4-5), an electric light duty truck, and a plug-in hybrid extended range electric truck designed to be used by utility customers like PG&E. Additionally the company sells drive train systems, and performs custom electric conversions for fleet customers. The initiative is due to start this summer with a deployment of 100 electric trucks to UPS, which will be the largest deployment of electric trucks in California history. 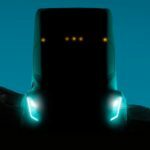 This agreement was first announced in August 2011, and is now rolling into EVI’s larger goal of deploying 500 electric trucks. “We are thrilled that national fleet operators are choosing California to lead large-scale deployments of commercial electric vehicles. UPS’ deployment of 100 EVI zero emission vehicles this year and EVI’s 500-vehicle initiative over the next two years will greatly help improve public health in California by reducing air pollution. This proves that ultra-clean delivery vehicles are ready now for everyday use in our communities,” said Mary D. Nichols, Chairman of the California Air Resources Board. The collaboration with UPS extends as far back as September 2010 when the two companies announced a 90 day pilot project using an all electric walk-in delivery van. That van used a truck from Freightliner Custom Chassis Corp, equipped with a Utilimaster body, and a 99 kilowatt-hour battery pack from Valence Technologies. UPS used data collected during the pilot project to calculate return on investment, and showed the 100 trucks being deployed with UPS will eliminate 126,000 gallons of fuel annually, saving on fuel costs as well as other benefits from reduced CO2 emissions and noise pollution. 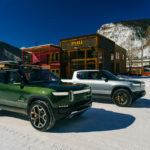 Earlier in March the company announced it had been awarded a U.S. General Services Administration (GSA) Schedule, a requirement for federal agencies and military forces to purchase the company’s vehicles. Big Trucks, Commercial Trucks, Electrified Trucks. Bookmark.